Suitable for vegetarians. Next time, try this! .. Next time you are having mashed potato just try this to add a little something special to your dish. When the potatoes are ready, drain stock into jug, add a generous portion of butter to the potato and mash, adding a dash of milk. Crumble some Cenarth leek cheese into the mash, leave for a moment before mixing, adding a little stock to make a creamy mash..delicious! 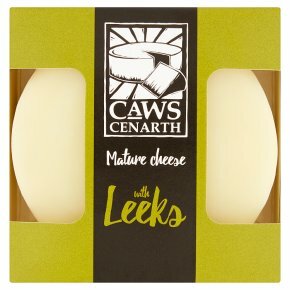 Have any favourite recipes that includes caws cenarth cheese, then please let us know.